BAD LAB, the complete personal care range man-gineered for the unconventional man are pleased to announce the release of the all-new Pomade & Hair Cream. 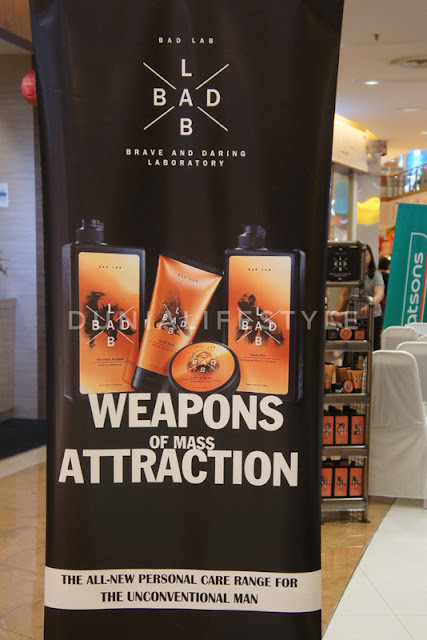 As the official personal care brand sponsor of ONE Championship: Throne of Tigers for the 2nd year in a row, BAD LAB launches the 'Fight Ready' hair styling event in conjunction with the ONE Championship athletes. This event will be held on February 9 from 2-4pm, at the Watson's Store in Sunway Pyramid, Bandar Sunway. The 'Fight Ready' event gives the fans a unique opportunity to show their support for their local fighters and have some fun experiencing BAD LAB's new products alongside top-ranked ONE Championship superstars, such as the popular Malaysian female fighter Ann Osman, and the up and coming brother duo Keanu & Glanni Subba. ONE Championship is set to hold two events in Malaysia's capital city this year, with the first event of 2017 being held at Stadium Negara on the 10th February 2017, headlines as Throne of Tigers. BAD LAB Digital Brand Executive Nick Smerling says, "Given the special and unique attributes or our products along with the exciting association with the fighters, the fans are in for a treat. With the unique position of being international Brand made in Malaysia, BAD LAB is proud to extend its popular hair range with the release of Pomade and Hair Cream. We hope local fans of MMA will take this chance to connect with their heroes and have a very unique fun and interesting experience." Lum Chong Heng, BAD LAB's Commercial Director adds, "Engaging with our consumers and fans of MMA, both our hair styling products targeted at men seeking convenience for active lifestyles, embodies the unconventional branding of BAD LAB, which is an edgy, adventurous, brace, fun, inspirational and cool attitude brand." Sports Media Property, ONE Championship, will be showcasing two major fighters in the lightweight division, namely Ev "E.T." Ting from Malaysia and Kamal "Prince of Persia" Shalorus from Iran main bout. Another headlined fight features the return of Ann Osman as she looks to defend burt against a tough opponent in the Cambodian prospect, Vy Srey Kouch. Throne of Tigers schedule to be held at Stadium Negara in Kuala Lumpur on February 10th. 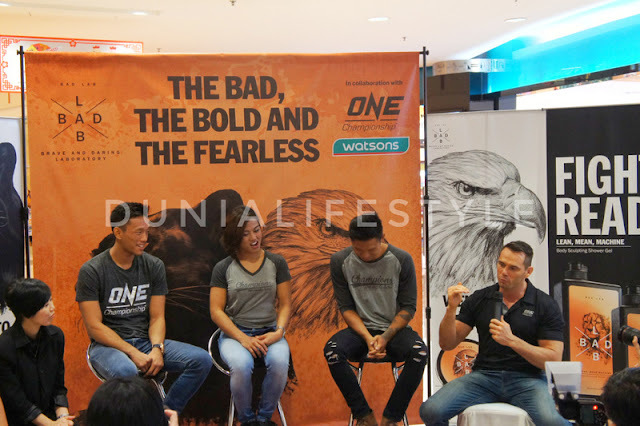 The 'Fight Ready' styling session by the athleted at Sunway Pyramid will be judged by representative from BAD LAB, Watsons, and ONE Championship's Vice-President and former three-time UFC Champion Rich Franklin, followed by a prize presentation. BAD LAB will be launching tow hair cair products as part of the event, a Water-Baed Pomade and a Wate-Based Hair Cream. Following the popularity of BAD LAB's Hair Clay and Gel, demand for an extended Hair Styling range was only a matter of time. "It's super-slick, super-glossy finish is just the thing to lock down a quiff, pompadour or ducktail.". Supersonik is a lightweight Water-Based Pomade that contains BAD LAB's signature ingredient, FluidipureTM 8G. The Dynamao is a heavier Water-Based Hair Cream that was created for men with frizzy or dry hair, and to lock down those loose ends. "Now go stalk your prey like the smooth, slick predator that you truly are" is Dynamo's underlying message to its users. Following the BAD LAB mandate, these two new release feature animals chosen to make the same bold statement to its fans and users that the rest of the BAD LAB range does. 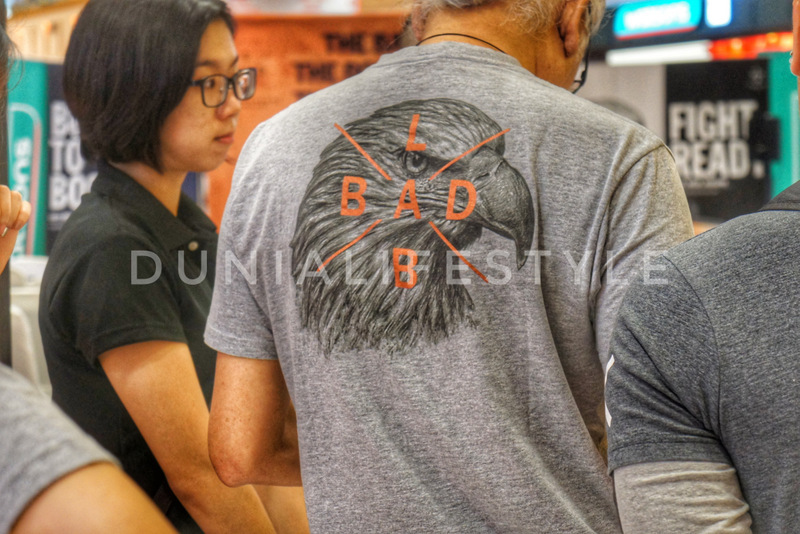 The Eagle, king og the sky, embodies the Pomade's slick and cool attitude that runs deep in BAD LAB's DNA while the Panther, the ultimate predator, was choosen to reflect the smooth nature of what a user of the Dynam Hair Cream would feel. For more information about the BADLAB One Championship "Fight Ready" session at Watson's Sunway Pyramid, more details can be found on BAD LAB's Facebook Page.